We ate this yummy meal at a new cool restaurant in town. 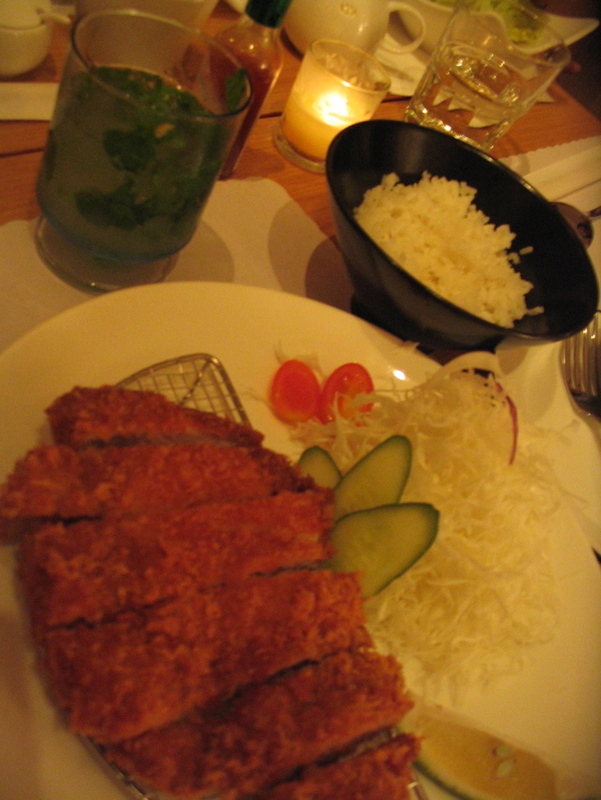 I had the special tonkatsu, which is a thicker pork cutlet than usual. I was thrilled to find that they also had mojitos, the wonderful cocktail with fresh mint leaves. So, it isn't exactly a Taiwan-style meal, but rather a Japanese-Cuban one.